Noahs Ark was written by Roy McKie. 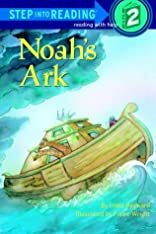 Noahs Ark was published by Random House Books For Young Readers. Subjects of Noahs Ark include Bible - Study - Old Testament, and Religion - Biblical Studies.